The last two stress tests were done on a small scale when it comes to the world and world design (9 sq. km). Designing in unity can be a fast process although keeping scene and item continuity can be a challenge. @Jayty has solved this problem for us by creating a set of unique tools and utilities for design. We’re now able to design quickly and even better, we’re able to update all design times at anytime with the click of a button! The design that you saw in the stress test town took months to hand place. Now design that’s much more dense can be placed, updated and continually worked on quickly and efficiently. 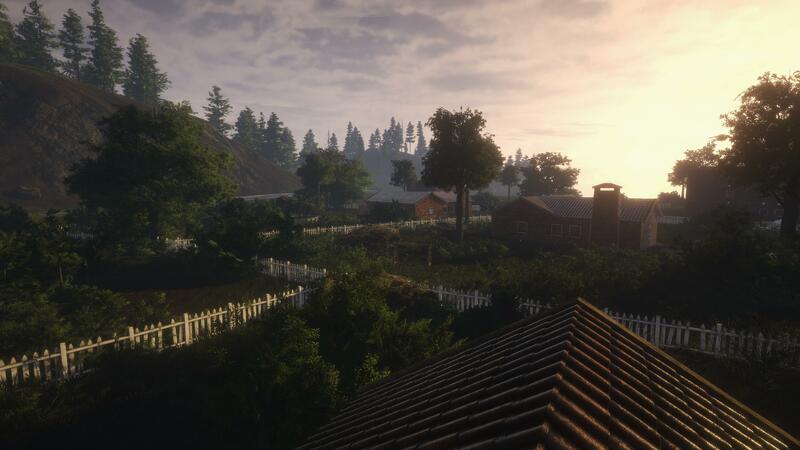 We’re pleased to say that the entire island is now designed, at least a “first pass.” We're headed towards early access and alpha so things will only run and look better as we continue to add points of interests and take suggestions from the community into account. Vegetation is thick and lush, props and trash are more prevalent and the world really seems to have come to life. The entire designed world is approximately 64 sq. km. Below are a few shots of the re-designed alpha town along with a few other areas. For the most part, all features should be considered “version 1” and will be worked on was we move forward. Most of what you see in alpha will be base mechanics and we have vast improvements and changes planned for once we have community feedback on them. Much more has gone into the project since stress test 2.0. We’re nearly at a functioning multiplayer state to match the original concepts which is something we’re extremely proud of. Below are several gifs and images of the new features but we’ve decided to keep most un shown so that you all get to experience them for the first time. Electrics are in. Getting a structure boarded up, secured and functioning with lights is very satisfying. Weather is making a comeback for alpha. Just like in the concepts, you can expect to see temperature changes, seasons, storms etc. Below is a .gif of a simulated rain storm (sped up for the purpose of the .gif). Vehicles are functioning. This includes the RV from the concepts, which has been remodeled. Below you can see a gif of the player entering and changing seats in the RV from inside the vehicle. AI - Both passive and aggressive AI has been implemented. AI is another feature in it's infancy. Alpha will be the first time anyone has had to deal with Zombies. We'll use the communities feedback to tweak and get them as close to the general backers liking as possible! Below you can see animations being done for a zombie taking head damage. Placement - We’ve developed a free placement system for all the physical drops. 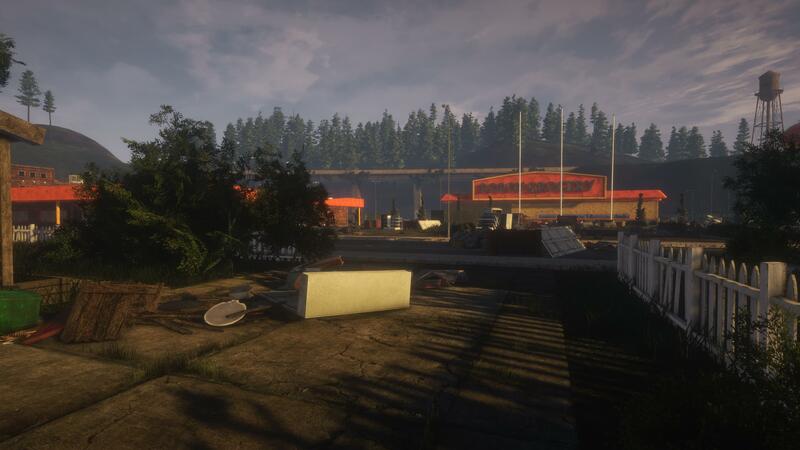 Allowing players to move around ALL loot in the game physically will allow for greater organization in safe houses or campsites. Below you can see a .gif of a house before and after drops have been placed. Cooking will play a major role in the game. We won’t ruin the mechanics by explaining too much as you’ll be able to test it out shortly. Cooking foods (fresh meats or canned foods) will not only provide the player with a safe meal (with less of a chance to get food poisoning) but it will also boost their mental health stats. Eating a warm meal can make all the difference. 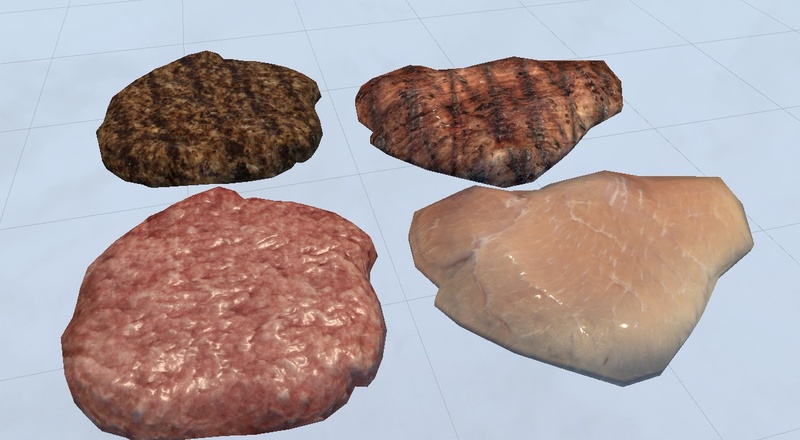 Below you'll see a screenshot of cooked and raw meat, rat burgers and all. We’ve been focusing heavily on making our Steam integration secure and seamless. We’ve taken the time to link in things like stats and achievements which should be live from day one or soon after giving you all goals to achieve. We’ve also added in game stats for “Nights Survived” which resets on character death. There are several possibilities on our next stages from here. We may continue to run closed testing and decide that the build is strong enough. At that point, we would announce STN’s early access on Steam or we may decide to run further tests immediately before launch through Steam involving all of our existing community. This could very well be the most likely scenario but we’ll need to be sure that it would be logistically viable before committing to it. We cannot run further tests without Steam because our existing registration/accounts system has been replaced by Steam account authentication. Using the old authentication system, while effective for testing, produces a massive overhead of customer support which prevents us from developing efficiently. We still don’t have any exact dates for the next steps but you can be sure that we’ll make announcements before moving forward. We expect 4-6 weeks. We have various trailer videos and game content that will be shown leading up to release. We’ll post all of them here in official updates as and when they’re ready to be released. We’d like to thank our whole community for supporting us throughout the development of the game. We’ve had our ups and downs and there’s certainly been parts of the development that have been challenging but we’re proud to have such a supportive community which helps lead the development in the right direction. We’re now at a position where we feel that we have a great base to build the best survival game on the market and that wouldn’t be possible without you. Looking forward to playing! Game is looking awesome so far, I hope all runs smoothly for you. Can't wait! Looking good guys! Absolutely brilliant guys, I remember playing the first stress test and unfortunately missed out on the second one, but your progress has blown me away, especially with the free looting system and movement of all objects. I know I'm going to be putting an absurd amount of hours into the game. Even looking back in the pre alpha stuff ou guys put up as a demo I was astonished by the amount of things to do in the game, especially compared to "survival" games out now. 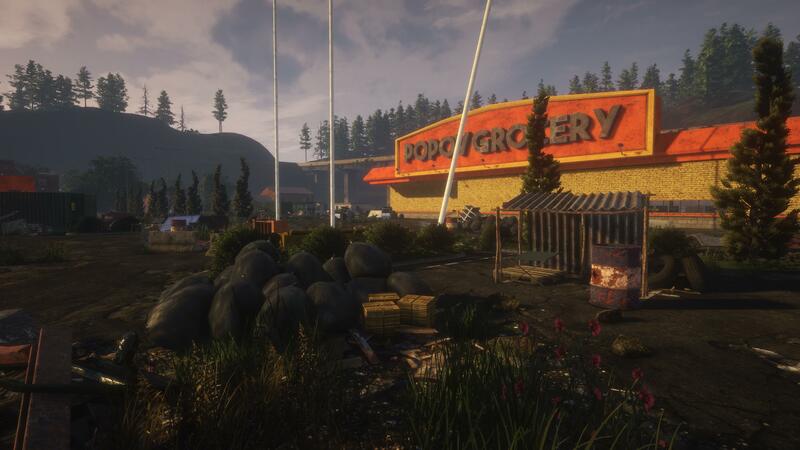 This feels like it's going to be an actual zombie apocalypse simulator rather than a survival game. And as a question, does anyone know if there's going to be a free server tool to run ourselves so we may have our own server? Nice! Very nice. Love the marbling on the (chicken?) steak. For more Survive the Nights, follow me on Youtube! Awesome post JB, the past few weeks of working with you guys have been a lot of fun and I'm looking forward to the months to come! I also finally have the chance to experience the community on the forums now that I have a forum account, so hiya guys! Feel free to hit me up on Discord, Origin, uPlay, Steam or Skype! Details shared on request. Thanks for the update. 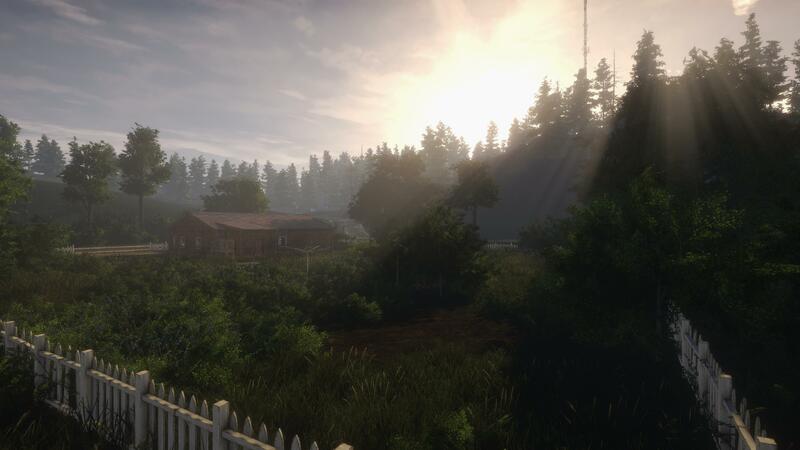 It feels like there is just so much substance the a survival game, finally! You guys will always have my constant support and I look forward to being able to finally play! @JB_ - Looks & sounds absolutely stunning! One thing that I don't like is the zombie headset animation. It looks a little too... generic? (for the lack of a better word) It would be awesome to see some zombies stumble back a few steps after taking a bullet to what's left of their brain, or at least it should happen with the larger calibre weapons. Other than that, whoop whoop!